CES 2018 is winding down, and we finally have a chance to pause and reflect on what we saw that was actually great. 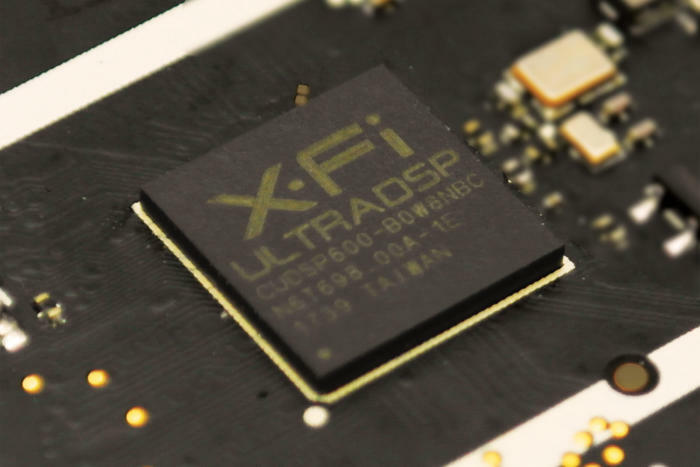 Products that advanced their category, or broke new ground. Things that leaped ahead of the competition, Or maybe they just looked cool. It's easy to hit saturation at CES, but these are the products we're still talking about when everything else has blurred together. We start with the product that was so innovative, two of us raved about it. Creative’s Super X-Fi is a powerful digital signal processor. 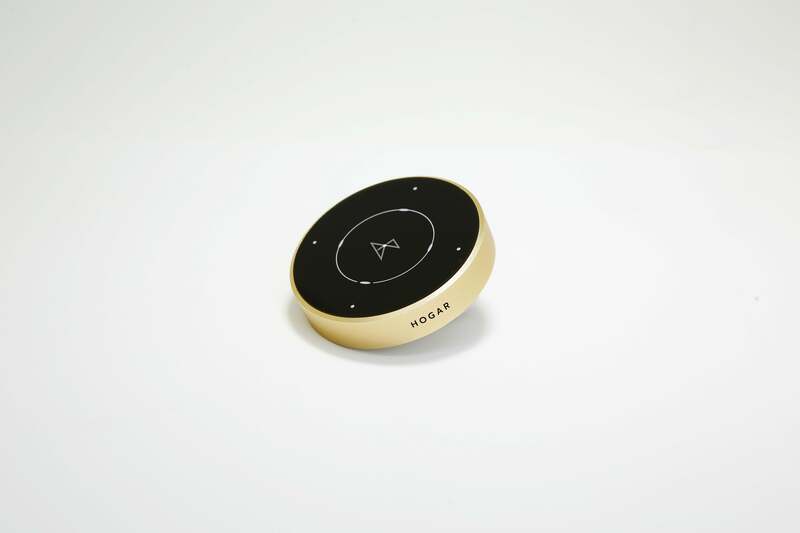 Hands down, this was the best demo of CES—and it’s the product I’m most looking forward to reviewing this year. Creative’s DSP chip and software analyzes how your ears perceive sound, based on photos of each of your ears and your face. It then synthesizes this data with information about the headphones you indicate you’re using and the acoustics of the room you wish to emulate, and builds a custom audio model for processing the sound passing through the chip. Though its launch was overshadowed by Spectre/Meltdown security questions, Intel's Kaby Lake G was no less exciting. 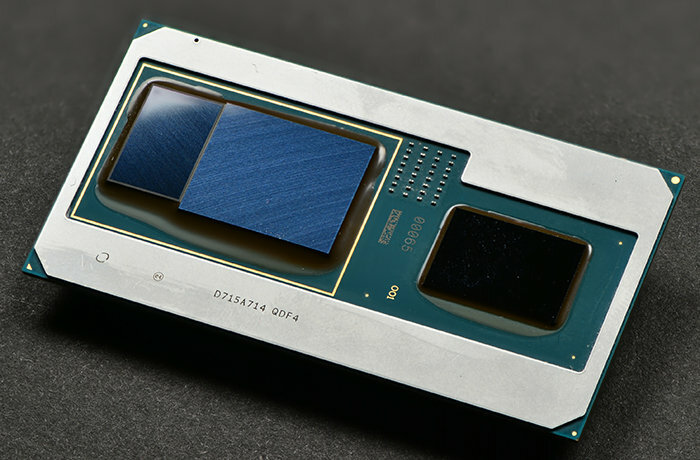 The new CPU that combines an AMD Vega M GPU and an 8th-gen quad-core Core i5 or Core i7 promises to deliver more performance in slimmer laptops. We're suckers for squeezing performance into tiny boxes, but Digital Storm's Project Spark is truly something to see. 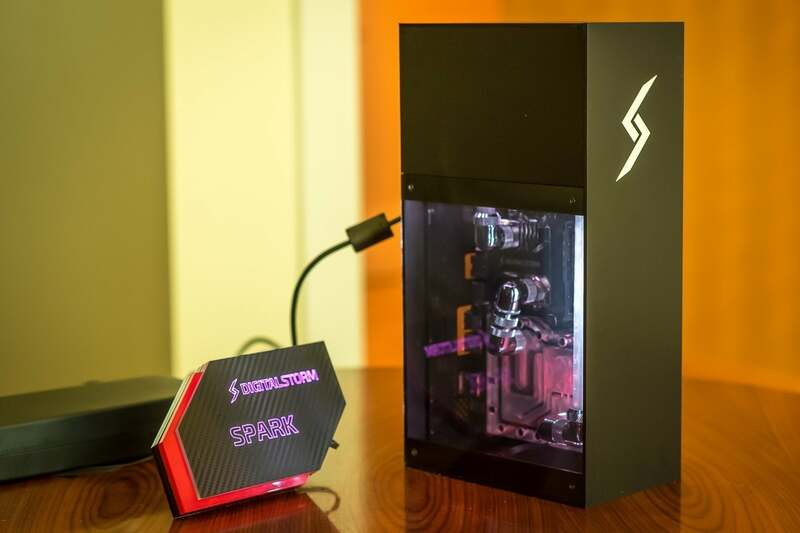 Not only does it get a 6-core Core i7 and GeForce GTX 1080 into a machine smaller than a tissue box, but it does it with custom liquid cooling too. Wheels seem like such a little thing, but in this case it shows the attention to detail on Acer's Predator Orion 9000 gaming desktop. 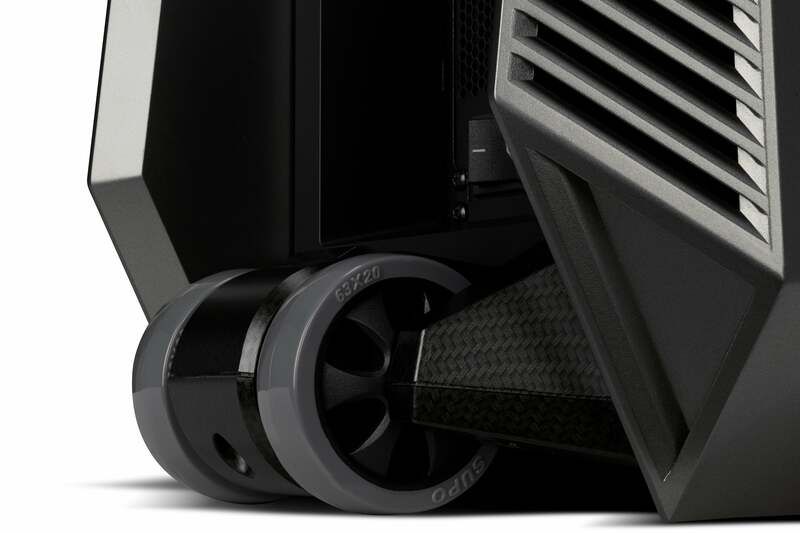 They nestle discreetly in the lower rear corner, so your rig won’t look like a kiddie wagon when you lift up a bit on one of the dual handles atop the PC and roll the entire rig into your next LAN party. 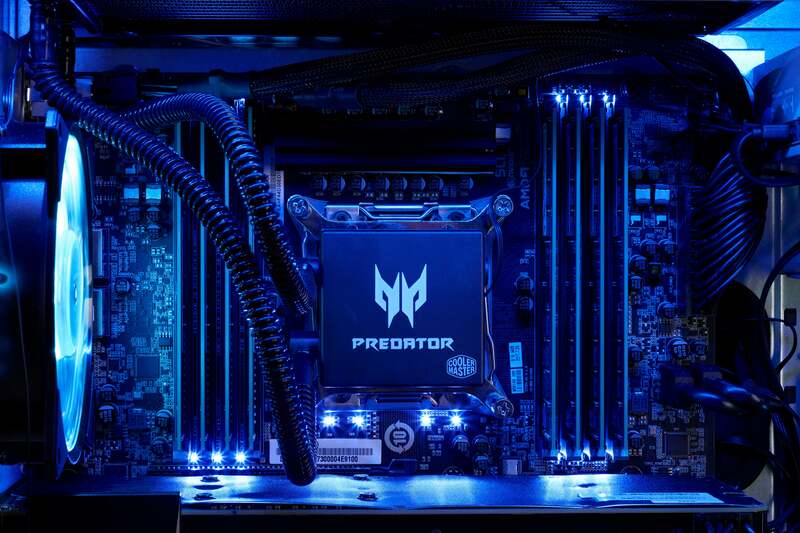 With the Predator Orion 9000, Acer is hoping to solidify its place in the burgeoning gaming PC sector. It's hard to follow an act like CES 2017's over-the-top Predator 21 X laptop, but this desktop offers a similar level of care. 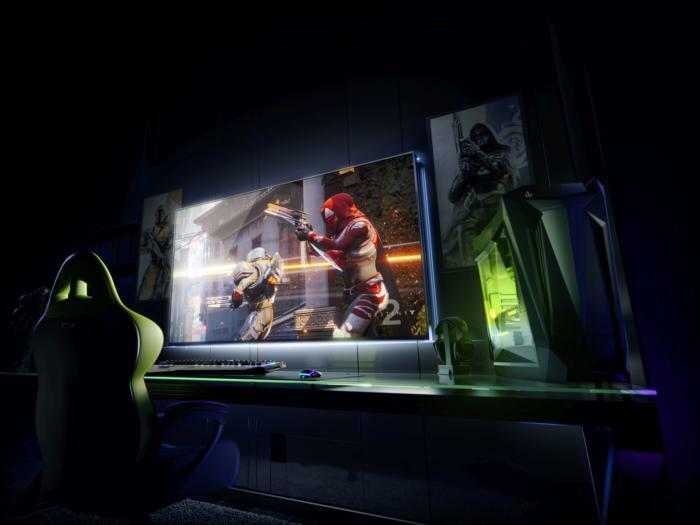 The concept for Nvidia’s BFGD must have been stupidly easy: Just make one big giant monitor. The result is the Big Format Gaming Display (BFGD). Note that the BFGD is not, repeat, not a TV, as it has no tuner. Instead, it’s the display we might all want if we were designing our next nerd-cave. If you’re saying a $499 Costco special large display would be “just as good,” that’s probably not true. Although no specs were released, the BFGD promises to be optimized for lower latency than you can get on a TV, as well as 120Hz G-Sync. Oh, and they’re HDR too. Razer loves to show off something wacky at every CES. While this year the surprise was a bit more subdued, I thought it was still an awesome prototype. I’m talking about Project Linda, which is essentially a laptop dock for the Razer Phone. 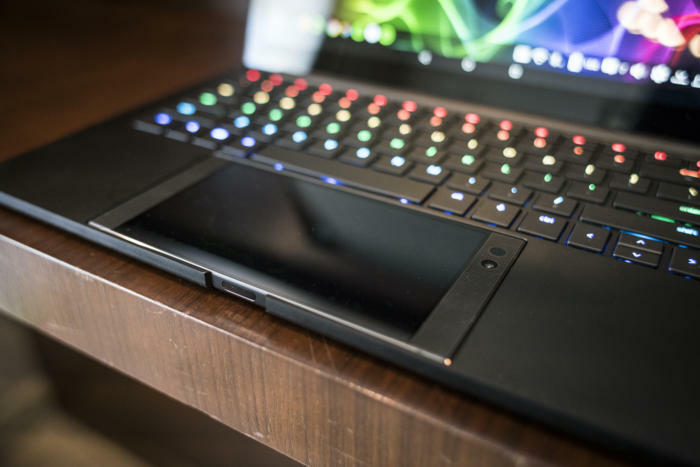 At first glance Project Linda looks like a Razer Blade Stealth sans trackpad and any sort of processing but that’s where the Phone comes into play. While using a phone as the brains of a laptop/desktop isn’t a new idea, I haven’t seen a more elegant solution than Project Linda's, where the phone becomes the trackpad, tucking neatly into the laptop's profile rather than sitting in some dock. 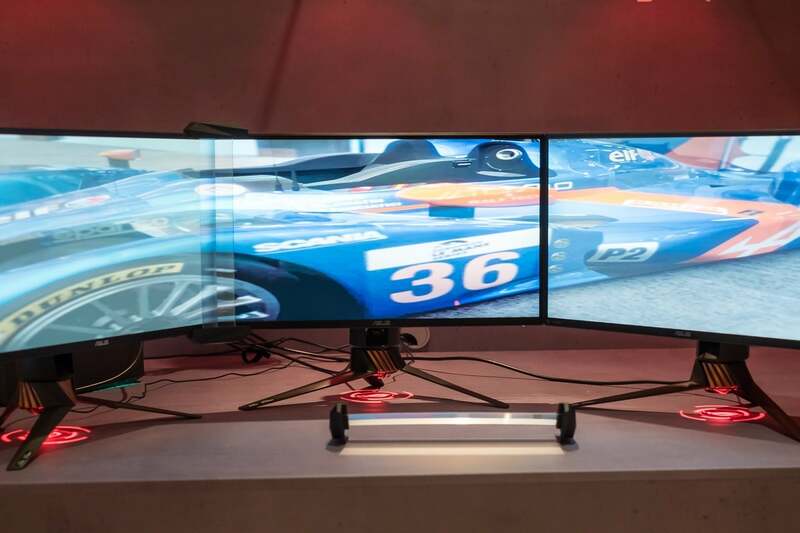 The Asus Bezel Free Kit is an entirely low-tech solution to a high-tech problem. Solution: plastic lenses and bezels to bend light around the bezels. It’s the little things in life that mean the most sometimes, and nothing proves that more than the Asus Bezel-Free Kit, an entirely low-tech solution to a high-tech problem. Problem: Bezels when running a triple-monitor setup. Solution: plastic lenses and bezels to bend light around those bothersome borders. Milo has a glass touch-screen that you can tap and slide your fingers across to play music and control the on-board amplifier’s volume. You can also use this surface to summon lighting scenes and perform other commands if you won’t wish to use voice. Amazon humiliated Google at last year’s CES. 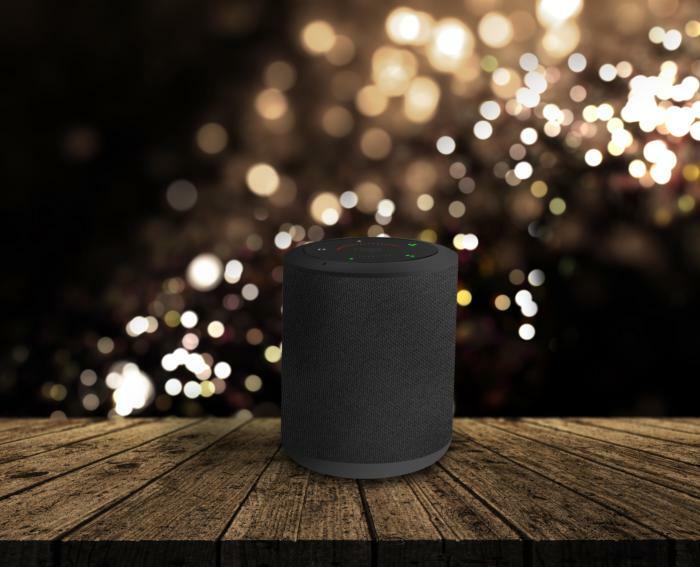 Its Echo smart speakers and Alexa digital assistant were everywhere on the show floor and on everyone’s lips. 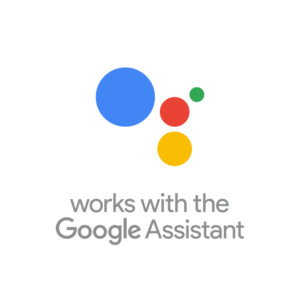 It was almost as if the world had already forgotten about Google Assistant and Google Home. I wouldn’t say Google turned the tables this year, but the company has clearly become much more serious about the smart home. Smart devices powered by Google Assistant, including a whole new class of smart speakers with touchscreen displays, were everywhere. 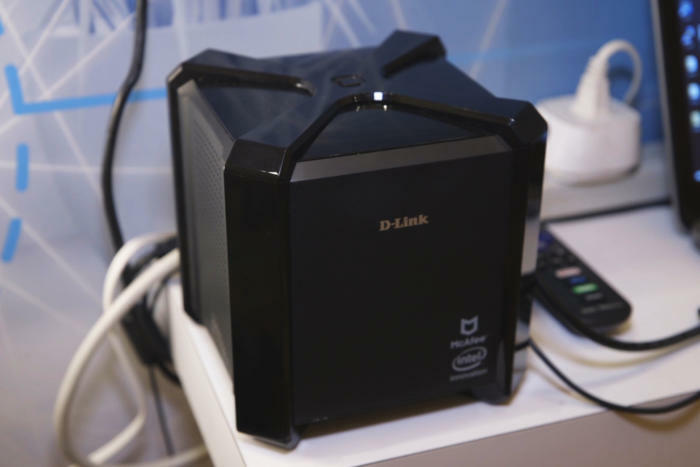 In a world of malware, hacking and botnets, most smart home devices represent a huge vulnerability on your network, so it's great to see D-Link's AC2600 WiFi router. It includes a firewall from McAfee that can stop unauthorized access to devices on your network, alert you to hacking attempts or peculiar Internet traffic from gadgets. It will also scan your network to notify you of insecurities and for parents, there's also a filtering system that can block websites and restrict web time.